I was wondering if you could help me out with a pepper question that we had happen last fall. I like to let my peppers stay on the vine until they are red, but find that they rot in no time at all ones they are picked. For example, if on Saturday I picked 4 peppers that had just finished turning red, they were mush by Monday night. The green peppers I picked on Friday are still nice. What gives? We have had some wet weather, but the plants did not have any diseases and the fruit was not laying on the ground. Thanks for your question regarding peppers. Your experience with your peppers last fall is a great example of the damage that can be done to a fruit by the presence of ethylene gas. As a fruit ripens, the process is aided along by the naturally-occuring plant hormone ethylene. This hormone is released by the plant to soften the fruit tissue, convert various compounds in the fruit from acids to sugars, and degrades the chlorophyll that makes the fruit green so that the other pigments that were always in the fruit (but had chlorophyll blocking them out) are able to be seen. Once the process has completed, you are left with fruit tissue that is somewhat softer and much sweeter. This is a FEAST for bacteria and mold, and, as you experienced, your pepper fruit does not last too long after that. While this process occurs in all fruits, some are able to deal with it better. For example, apples have a tough skin on them and acids that remain in the flesh of the fruit once it has ripened. Squashes and pumpkins have a hard rind. Citrus have a thick skin studded with oil pores that contain essential oils full of d-limonene, which is substantial anitmicrobial properties. Unfortunately, fruits like peppers don’t have much to protect them.The high sugar and water content of the fruit sets it up for disaster. Also, green peppers contain 1-2% more oxygen in their air cavity than red peppers. Although that doesn’t seem like much, it is just enough to prevent the anaerobic respiration that is preferred by bacteria. So, unfortunately, the fact of the matter is that red peppers usually go soft in the fridge after about 2 days, while green peppers go soft in a week or two in the fridge. I find that if you want to have red peppers to use in the kitchen, it is best to freeze them or eat them raw in a very short amount of time. Sorry I don’t have a better answer. If you have any other questions, please feel free to ask. © Mertie Mae Botanics LLC and Horticulture Talk!, 2015. Unauthorized use and/or duplication of this material without express and written permission from this blog’s author and/or owner is strictly prohibited. Excerpts and links may be used, provided that full and clear credit is given to Mertie Mae Botanics LLC and Horticulture Talk! with appropriate and specific direction to the original content. 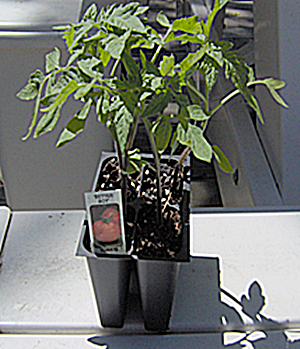 “All of my tomato and pepper seeds I ordered Baker Creek grew fine. Only no fruit. Tomatos would bloom, flowers would fall off. Peppers would bloom, flowers would fall off. Next year I’ll buy my plants from Home Depot. Thanks for recommending a crappy company. Thank you for the email regarding your peppers and tomatoes. It’s sounds like the plants were not the problem, but the environment that they were grown in, as your plants suffer from blossom drop. Blossom drop is a common tomato and pepper growing problem that can be extremely frustrating to the home gardener. Otherwise healthy looking tomato and pepper plants set flower blossoms, only to have them dry up and fall off the plant before a fruit is formed. –Humidity Too High or Low Humidity. The best way to combat the problem is to grow varieties suited to your climate. Often times, hybrids are able to grow anywhere but still need ‘optimum’ conditions. Gardeners that experience this problem often decide to grow heirloom varieties that are native to their region along with the hybrids so they are always assured of having a crop from one or the other or both. 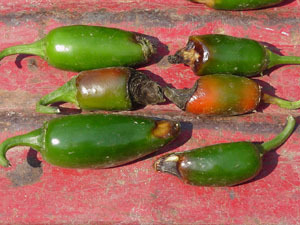 Tomatoes and peppers grow best if daytime temperatures range between 70 F / 21 C and 85 F / 29 C. While tomatoand pepper plants can tolerate more extreme temperatures for short periods, several days or nights with temps outside the ideal range will cause the plant to abort fruit set and focus on survival. According to the University of Wisconsin, temperatures over 104 F / 40 C for only four hours can cause the flowers to abort immediately. Tomatoes and Peppers need some help to pollinate. Either insects, wind or hand shaking of the flowers is necessary to carry the pollen from the anthers to the stigma. During weather extremes, there are often no insect pollinators in the garden. Don’t automatically feed your tomato and pepper plants every week. Make sure your soil is healthy, with adequate organic matter. Apply a balanced fertilizer at planting and again when fruit forms. Too much nitrogen encourages the plant to grow more foliage, not more fruit. Water deeply, once a week, during dry weather. Tomatoes have very deep roots, sometimes going down into the soil up to 5 feet. Peppers can go to 2 feet deep. Shallow watering will stress and weaken the plants. Keep your plants healthy. Use good cultural practices and treat for disease as soon as symptoms appear. Nothing will guarantee fruit set. Things like temperature and humidity are out of the gardener’s control. Sometimes you just have to be patient and wait for conditions to correct themselves. If the weather seems fine and other gardeners in your area are not having fruit set problems, you should consider the cultural causes of tomato and pepper blossom drop. Choosing a suitable variety and keeping your plants healthy will give you an edge. My garden is growing great, but I know I need to fertilize my plants. I know it needs to be done with the right product at the right time or you can kill or mess up your plants, but I just don’t know what the right time is for the various vegetables I have. Do you have a table or something that you could send me or post that would give me a better idea of what we should be doing? Pre-plant: If necessary, use 5-10-10, 3-4″ deep, at the rate of 1 1/2 lbs. per 100 sq. ft. Side-dress: 1 T. of 5-10-10 per plant every 3-4 weeks or generous scoop of rotted manure. Pre-plant: Work aged manure or com post into top 8″, or 3-4 cups 5-10-10 into top 4- 6″ for every 20-foot row. Side-dress: If growing slowly, use 2 cups 10-10-10 per 20-foot row. Pre-plant: 3-4 lbs. 5-10-10 per 100 sq. ft. Side-dress: 3 weeks af ter transplant with 1 T. high nitrogen fertilizer. Pre-plant: 2-4 lbs. 5-10-10 per 100 sq. ft. Side-dress: Once a month with 5-10-10, 1-2 T. per plant. Pre-plant: 3-4 lbs. 5-10-10 per 100 sq. ft. or 3-4 shovels of aged manure or com post. Side-dress: Month after transplant, 1 lb. 10-10-10 per 25-foot row. Side-dress: 1/2 lb. 10-10-10 per 25-foot row when plants are 4-6″, then every three weeks thereafter. Pre-plant: 1 lb. 5-10-10 per 50 sq. ft. Side-dress: W h en 6″ tall, use natural fertilizer such as dried manure or f i sh fertilizer. Thin layer hardwood ash, 4″ deep, for potash (for sweetness). Fall of year: Generous amounts of com post and/or manure in top 3″. Side-dress: Every 2-3 weeks with manure tea or 1 tsp. 5-10-10 per plant. Pre-plant: 3-4 lbs. 5-10-10 per 100 sq. ft. Side-dress: 2 lbs. high nitrogen fertilizer (urea or ammonium sulfate), per 100 sq. ft. when plants are 8-10″ tall. Use again when silks appear, adding superphosphate to N.
Pre-plant: Use plenty of compost or well-rotted manure. Side-dress: 4 weeks after planting, just as vines begin to run, use 2 handfuls compost or 1 T. 5-10-10 per plant. Pre-plant: Mix 1″ well rotted manure or 2-3 lbs. 5-10-5 per 100 sq. ft. Side-dress: When plants set several fruit, use 1 T. 5-10-5 or 10-6-4 per plant. Pre-plant: 1 lb. 10-10-10 per 25 sq. ft. Side-dress: 3-4 weeks after planting, use 1 tsp. 10-10-10 per plant. May also use fish or seaweed fertilizer. Pre-plant: Generous amounts of rotted manure or compost. Side-dress: Mulched – Use liquid fertilizer (fish, seaweed, manure tea) Unmulched – Use 1/2 cup 5-10-10 for every 4-5 plants. Again in 3 wks. Fall: Mix rich compost or manure into soil. Pre-plant: 1 lb. 10-10-10 per 20 sq. ft. Side-dress: 1 lb. 10-10-10 per 20-25 foot row when plants are 4-6″ tall and when bulbs swell. Pre-plant: Use a slow-release fertilizer. Side-dress: If a slow-release fertilizer has not been applied, use 1-2 cups 5-10-10 per 25-foot row or its equivalent after 1-2 months. Pre-plant: 1-1 1/2 lbs. 5-10-10 per 100 sq. ft. Side-dress: When 6″ tall, use 1/2 lb. of a 1:1 mixture of ammonium sulfate and dehydrated manure per 25 foot row. Pre-plant: 1 1/2 lbs. 5-10-10 per 100 sq. ft. Side-dress: Monthly with 1 T. 5-10-10 per plant. Pre-plant: In an 8″ trench or hole, mix 5- 10-10 at the rate of 1 lb. per 25-foot row with 2 inches of soil. Side-dress: When hilled for the 2nd time, use 1 lb. 5-10-10 per 25-foot row or compost, seaweed, or fish emulsion. Pre-plant: Mix rotted manure and a handful of 5-10-10 into top 6-8″ of soil. Side-dress: Use 5-10-10 on hill and side roots. Pre-plant: Mix well-rotted compost or manure into soil. Fertilize early spring each year with 2-3 shovels of well-rotted manure per plant or 1/2 cup of 5-10-10. Side-dress: At the same rate in early summer after the main harvest period. Mix compost, manure, and/or 10-10-10. No additional fertilizer necessary. Thank you for the email regarding Serrano del Sol Hybrid Peppers. Yes, they are a great variety for growing in pots! Growing peppers in containers is easy, and most (if not all) peppers will thrive. In fact, some were selected for their ability to grow well in a pot! Let’s look at some things to consider when growing your peppers in a container. It’s not so much a problem with the pot being too big, but rather don’t go choosing one ortoo small. Although many peppers don’t grow more than 20″ tall, they still need enough room for their roots to spread out. For the smaller peppers (under 12″ tall), you’ll need a 2 gallon container. For the larger pepper plants, a 5 gallon or even 10 gallon container will give the peppers plenty of room to grow. Oh, and remember — your container needs to have drainage holes, so excess water has a way to escape. I prefer to use bagged soil, seeing as the soil in my yard is fairly sandy. I like a mixture of composted cow manure and organic potting soil. The composted cow manure feeds the plants, and the organic potting soil lets the plant’s roots grow freely. I generally use in a 50/50 ratio (just as much composted cow manure as potting soil). I generally avoid any potting soil labeled as “african violet” or “houseplant” or any such designation. I also like to avoid pre-fertilized potting soil. If you can’t find any “regular” potting soil, try using sphagnum moss instead, at a ration of 40/60 (40% sphagnum and 60% composted cow manure). If you have access to real compost (meaning, from your own compost pile), by all means use that! Just make sure it’s fully “cooked” to destroy any lingering unfriendly bacteria or fungi. Your pepper plants will very likely need more frequent watering when being grown in a container, as well as more frequent fertilizing. Watering should be done whenever you can stick your finger 1 inch into the soil and it’s dry (the tried and true method). Soon enough, you’ll get to recognize whether that means watering every day, every other day, etc. for your particular growing conditions. I like to use my fertilizer at no more than 1/2 strength, but I fertilize a little more often — usually once every other week. When your pepper is first growing, it needs a fair amount of nitrogen, but once it starts producing flowers, it needs more phosphorus. I prefer doing things as organically as possible, so I like worm castings, fish emulsion, and seaweed extract. If I feel the plant needs a little boost of nitrogen or phosphorus (beyond the normal fertilizing), I’ll add in some blood meal (nitrogen) or bone meal (phosphorus). Both can be found in most garden centers. I am debating adding an organic tomato fertilizer to this mix — after all, tomatoes and peppers are related and have similar requirements. Some peppers may need to be staked or caged due to their growing habits. I usually find that bell peppers need to be staked, due to fruit weight. Large plants like serranos may need to be caged if they start overtaking your container gardening area. Ultimately, it’s up to you, especially since there are now peppers like Mohawk that are more of a draping/hanging pepper, instead of upright. Please keep in mind that if you decide to grow the really, really hot chile peppers (like scotch bonnet, habaneros, etc. ), please don’t do it around small children or pets. Just touching the fruit of these plants can cause severe irritation and burning. I also would recommend staking or at least caging such chile peppers, if they are in an area where people will potentially be walking near them. All you need to do is brush by the peppers to get the oil on your clothes/body. That’s pretty much all you need to know about growing peppers in containers. This means that even if you don’t have a yard, you can have garden-fresh peppers. Just make sure that the spot where you plan to put the pots gets at least 8 hours of sun a day, and is in a warm spot (peppers like heat). © Mertie Mae Botanics LLC and Horticulture Talk!, 2011. Unauthorized use and/or duplication of this material without express and written permission from this blog’s author and/or owner is strictly prohibited. Excerpts and links may be used, provided that full and clear credit is given to Mertie Mae Botanics LLC and Horticulture Talk! with appropriate and specific direction to the original content. Why Should You Eat Peppers? Found this very interesting video by my former teaching advisor regarding way you should eat peppers. Thank you for the email regarding the problems with the Inferno Pepper Plants. It sounds like the fruits are suffering from blossom end rot (BER). 1. Is the problem disease- or nutrient-related? There are only a few common fruit disorders resembling BER that can lead to an incorrect diagnosis of the problem. Fruit anthracnose may occur on pepper and tomato fruit, but only on the side walls. 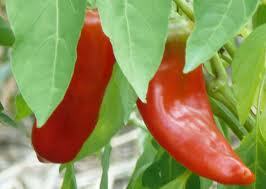 The same is true for sunscald, which appears on pepper fruit sidewalls and is pale in color. Buckeye rot, caused by Phytophthora, and cucumber mosaic virus (CMV) also resemble BER, but these disorders occur more infrequently than anthracnose. Blossom-end rot is uniformly dark brown and black in color, and appears ONLY on either the lower fruit sidewall or the blossom end of smaller and developing fruit. Often, symptoms will occur as far as 1/3 to halfway up the fruit, but will NEVER start at the stem (calyx) end. Also, BER symptoms will tend to appear during the first fruit set as, early on, growers are unaware of the problem until it’s too late. If these symptoms all correspond, the fruit has BER. Recommendation: If these conditions all hold true, proceed to Question #2. 2. Is calcium fertilization adequate? Examine liming and gypsum application records, along with the current season’s pre-plant soil test reports. If pre-plant soil test Ca levels are in the medium (801 to 1,200 lbs. Ca/acre) or high range (>1,200 lbs. Ca/acre), it is assumed that soil Ca levels are sufficient for crop growth. This is even more true for soil pH ≥ 6.0, with supplemental gypsum or lime being applied pre-plant at levels of 500 to 1,000 lbs./acre or higher. If these conditions exist, proceed to Question #3. Equally important to soil test results is plant tissue analysis. For bell pepper, sufficient leaf tissue percent Ca content just prior to (or at) early bloom stage should be within the range of 1.0 to 2.5 percent. For tomatoes, percent Ca content prior to (or at) early bloom should be within the range of 1.25 to 3.20 percent. Tissue levels below these would point to a possible emerging Ca deficiency. Recommendation: No specific recommendations exist for alleviating a low soil Ca level after planting. However, calcium nitrate (CaNO3) is a water soluble source of Ca and nitrogen (N) and is routinely injected in drip irrigation systems. Some research has begun on a relatively new material, calcium thiosulfate (CaS2O3), which also is available for drip injection systems. Injections of soluble Ca sources should begin at bloom and proceed until fruit is approximately golf ball-sized. This is believed to be the critical time when calcium must move into developing fruit to avoid onset of BER. Although some people believe foliar sprays can correct Ca deficiency in developing fruits, research is very inconclusive on this issue. What is well known is that Ca only moves in the plant via the xylem and moves with the transpirational water flow from the roots, up the plant and into developing leaves. Calcium has no ability to flow from the leaves via the phloem to the developing fruit. In addition, once fruit has grown to golf ball size, the waxy outer layer has developed and is believed to be quite impermeable to water. Therefore, it is recommended that all Ca supplied to fruiting vegetables be applied via the irrigation water so as to maximize uptake by roots. If liquid fertilizers are already being used, proceed to Question #3. 3. Is nitrogen and potassium fertilization excessive? Research has shown that Ca in soil solution competes with potassium (K), magnesium (Mg) and ammonium-nitrogen (NH4-N) for uptake in the plant. Although no established guidelines exist to determine what proportions of these nutrients in soil or plant tissue are appropriate, it is known that excessive shoot growth resulting from overfertilization of N and K during early bloom and fruiting stages is a major contributor to BER in developing fruit. Since Ca moves with the transpirational water flow, water is going to go to areas of new shoot growth that have the greatest transpirational demand. Calcium will therefore be deposited in the new shoot and leaf tissues that result from excess fertilization, and little will end up in developing fruit where it is needed most. At early bloom stage for bell pepper and tomato, leaf N and K analysis should both be within 4.0 to 6.0 percent. Levels higher than these may indicate excess fertilizer. Recommendation: Cut rates of N and K if excessive top growth is occurring. Switch N source to CaNO3 or begin injections of CaS2O3 at bloom stage. If these steps are already being implemented, proceed to Question #4. 4. Is irrigation adequate? Some people believe the relative humidity and transpirational rates of tomato and pepper during the spring season are the real keys to understanding what factors trigger BER in fruiting vegetables. Fluctuations of soil moisture, as happens during a week of off-and-on rain, may trigger BER due to irregular transpiration rates, affecting the quantities and timing of water and Ca moving up the xylem. Conversely, during hot, dry weather when transpiration is occurring at a much faster rate, developing vegetative parts such as growing leaves and stems become greater sinks for Ca than developing fruits. Lastly, as the waxy outer layer of a tomato or pepper fruit develops, the fruit’s transpiration rate decreases because water movement through the epidermal cells and evaporation into the outside air become difficult. The resulting decrease of Ca that flows into those young fruit tissues via xylem transport is believed to contribute to the onset of BER. Recommendation: Some research findings have quantified a decrease of BER incidence with increased irrigation rates. However, no recommendations exist for determining the critical moisture levels required in soils to minimize this disorder, nor is information available regarding the severity of moisture deficits triggering BER. For now, the “feel” method is still the most tried and true method of assessing soil moisture in the field. Along the row and out to the shoulders of the bed, the soil should be moist enough to form a ball in your hand and not break apart. The optimal time to increase irrigation and ensure that adequate moisture is being supplied is from first bloom set through fruit development. If BER initiates in fruit, it is believed to be during this early stage of development. Certain occasions exist where farmers run irrigation pumps “round the clock” and soil still will not form and hold a good ball shape. This may indicate that irrigation demand during the fruiting period is greater than that for which the pumping system was designed. It is believed that both nutritional and environmental factors need to be considered when diagnosing BER and recommending treatments. First, a correct diagnosis must be made to avoid recommending costly fungicide sprays when none are needed. Next, a careful examination of a grower’s soil test and leaf analysis records, in addition to their irrigation management practices, will help determine if additional Ca alone or in combination with increased irrigation scheduling will solve the problem. Equipped with a basic knowledge of plant growth, fruit development and Ca movement in soils and plant xylem tissue, growers will have the tools necessary for diagnosing and correcting the adverse effects of blossom-end rot. © Mertie Mae Botanics LLC and Horticulture Talk!, 2010. Unauthorized use and/or duplication of this material without express and written permission from this blog’s author and/or owner is strictly prohibited. Excerpts and links may be used, provided that full and clear credit is given to Mertie Mae Botanics LLC and Horticulture Talk! with appropriate and specific direction to the original content.